Tracking your agenda of the day manually, can be tedious on a daily basis. There are times, when you may miss important tasks just because you forgot to keep a track. To-Do list apps for Windows are a great way to stay on top of your tasks these days. They help you track your daily tasks for better time management, while allowing to stay productive. But, while choosing your app, you must know your requirement. Whether you are looking for a to-do app with a straightforward interface, or something that comes with color coding or a multi-tasker, would be your prerogative. There are several to-do lists available on the online marketplace, but some of them are definitely a notch up. Here’s a list of some of the best To-Do list apps for Windows that can help you make your choice. Wunderlist is easily the best to-do app in the list. It was known to be the best even since it was not taken over by Microsoft. This powerful tool that is known to boost your productivity, has been awarded the best to-do list app two years in a row, by the Verge and Apple consecutively. The best part about this app is that, you get just about every feature in the free version alone, unless you are also looking for premium features like unlimited task delegation and file uploads. 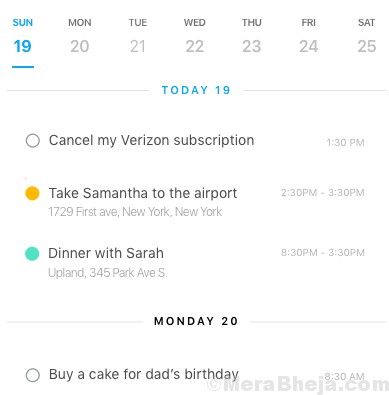 Using this app, you can add to-dos to your newly create to-do lists. You can also add notes and due dates to each item in the list. Once done, you can share this with your friends, family, or office colleagues with editing capabilities of their own. Best of all, it offers a clean user experience even when there are two people are working on a list concurrently. So, for instance, if you are sharing a grocery list with your roomie and if you visit the grocery store together, it becomes easier for you two to manage the list at the same time. Bonus – it’s sleek design and the fact that it is easy to use. It makes the entire process like, adding and checking off items from the list easy and intuitive along with adding and marking off sub-tasks, adding a due date, adding reminders, and much more. Todoist has been around for years now offering several features to help you with your to-do list. It has grown over the years with added features that enable you to manage tasks by date, apply color-codes, and more. Although the free edition comes with comparatively lesser features, it still boasts a commendable design and is easy to use. It allows you to create to-do lists, sub-tasks, projects, sub-projects, and dependencies. 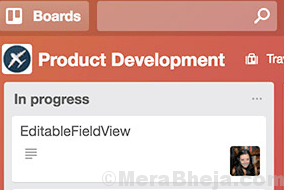 You can also attach due-dates to tasks, files, notes, prioritize them with color-codes, classify them, and much more. 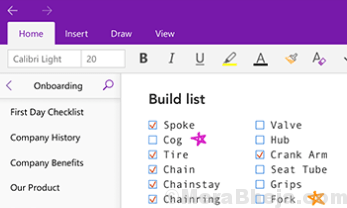 You can also share projects with others, break tasks down to sub-tasks, and also have the option to assign priority levels ensuring that you get the most important items on your list complete first. The paid version comes with premium features like labels, filters, push notifications, and email reminders. The app is compatible with all major platforms such as, Windows, iOS, OSX, Android, as plug-ins for Chrome and Firefox, Gmail, Thunderbird, and Outlook. 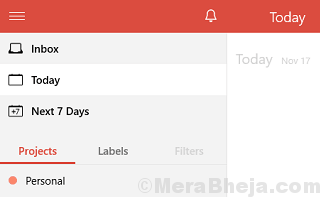 Moreover, it is also capable of syncing with Google Drive, IFTTT, and Sunrise Calendar. 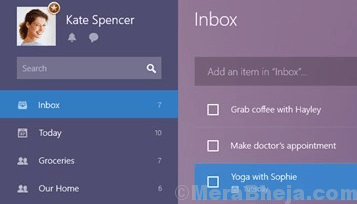 Microsoft’s One Note is a Windows 10 specific to-list app that’s equally popular in the list. While it offers the flexibility to create a wide variety of note types such as, lists, tables, small articles, etc., it is also known to allow users to embed files and videos into notes. This is to make sure that they can directly refer to the attached files without the need to find the file in the cloud. In addition, it integrates with other Microsoft apps like Outlook, Office, and OneDrive. What’s interesting is, it also notifies you of any conflicts between a note on the desktop and on the android device due to its sync time, but doesn’t try to correct it on its own. Bonus – it’s available for free as a web app as its for Windows, OS X, iOS, and Android. It can also be used for free on as many devices you want. 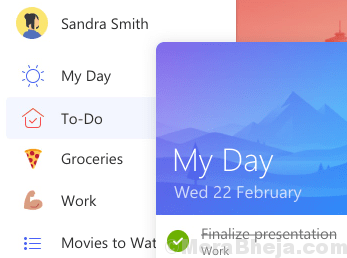 Microsoft To-Do can be easily termed as the successor of Wunderlist, since it was released immediately after the Microsoft’s take-over of Wunderlist. The app has adapted several of the Wunderlist features and is present in a package of its own What’s more? You can even transfer your Wunderlist task items to it. The app allows you to add to-dos, notes, and even due dates to each item. while focusing on making your day productive. You can either add the items to the “My Day” section from each of the category of items, or simply click the lightbulb icon to see the app’s recommendations of what can get done today. The app is also compatible with iOS and Android in addition to Windows. 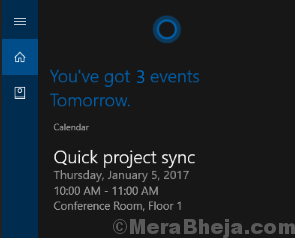 Cortana is a digital assistant by Microsoft and the task that it does best is managing to-do lists. It allows you to add items easily with your voice or by typing, while they’ll show up on the “lists” section of Cortana despite the platform you are on. It comes as a built-in app for Windows 10, and is compatible with Android and iOS. Best of all, it can also be used in sync with Wunderlist helping you to add things faster with the assistant and then catch up on the in Wunderlist. Google Keep is another to-do list app that’s lightweight, fast, and offers cross-platform support. It is not just able to move cards manually but is also great for prioritizing to-dos. It also allows you to drag and drop items within a card. Considering that Google a has a vast experience with speech-to-text functionality, the search giant does a great job with Keep. It allows you to record spoken notes easily and can be converted to a text-based note equally conveniently. Keep features a minimal interface that makes the entire process much faster on web and mobile platform. So, if you are jotting down a note and want it to be quick, this becomes useful. Moreover, the app also allows sharing items with other contacts and editing possible at the same time. It helps a team to work in collaboration in real time despite their location. Trello is not exactly a to-do list app in the real sense, but still, it’s a fantastic tool that helps increase your productivity. It lets you create cards that you can place into columns. You can then add notes, due dates, files, and even add labels to separate cards. It also helps you stay at top of your content produced by letting you assign cards to certain members of team and shift cards between boards. Trello can also be synced with other services, for instance, with Outlook as an add-in. It’s also compatible with Android and iOS. Price: Free version available; Upgrade starts from $9.99/mo. ToodleDo is an extremely user-friendly app that helps you to arrange simple to-do lists on web platforms as well as on Android and iOS devices. It primarily emphasizes on tasks and that’s what it is best known for. It allows you create sub-tasks under each task and also add additional notes, due dates, reminders, and priority ratings. You can also arrange your tasks in separate folders. While the looks are inspired from other similar efficient tools (mostly from Wunderlist), it recently went through a design overhaul that did great for its overall layout. If you are looking for a highly flexible to-do list app that does exactly what you want, then ToDoList can be your best bet. It offers some great features with host of options. From costs or percent completed to priority, you name it and the app allows you to add. It comes with a simple design that allows you to configure everything. 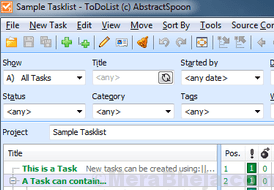 In addition, it offers multi-level subtasks. You can also modify the fonts, add links to pages, or add links to other tasks to comments. This means, that you have the freedom to format your text in your way. Not just that, you can also set as many filters for as many columns you have, and even export your view or single tasks. The best part is, the app is lightweight and portable that takes the cake. Any.Do is hands down, one of the most aesthetically designed apps in the category. While it comes packed with all the features of a usual to-do list tool that includes the important features like, drag-and-drop, and swipe-to-complete, it also offers additional features that makes it stand out in the crowd. Features like a push notification (the moment) that alerts you every morning of your plan for the day is a key differentiator in this case. Among its few more smart and interesting features are voice entry and the option to shake your device to remove any finished tasks. It’s compatible with Windows, iPhone, iPad, and Mac OS. GoForIt is a free and open source To-Do list app that helps you to stay focused based on your workflow. It features a simple and minimalistic interface that’s easy to use. Additionally, it alerts you of regular, short breaks in between. What’s interesting is, that the to-do lists are saved as plain texts in files in a directory that can be itemized by the user. Which means, that it lets you sync through services like Dropbox and use in conjuction with Todo.txt frontends for different other platforms that includes mobile phone platform. Although TickTick is fairly new in the category, it shows a lot of promise. Just like the other tools in the list, the app helps you add new tasks, sub-tasks, fixed deadlines and custom alerts, and share them with other users. You can also fix persisting to-do list items for every day, a certain number of days, a week, month, and much more. The paid version offers some great advanced features like a fantastic calendar view where you can see how your to-do list appears on a daily or a weekly basis and stay ahead in the game. 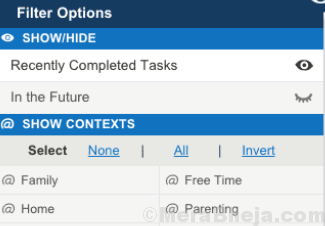 It allows you to drag tasks to change the order, and even drop tasks into the calendar on the left side at the bottom to fix a due date. It also features a revision history and something called “experimental labs”. SynapBook is a pretty competitive to-do list app that offers various text styles and decorations viz., general styles like font size, bold, etc., highlighter, separator line, and so on. 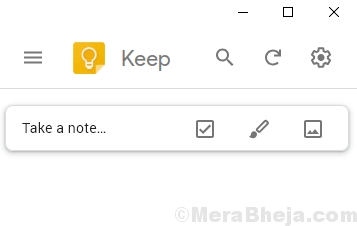 In addition, it supports pop-up notes that can be used like the simple Windows Sticky memo app. Search based notes, or structuring the content using the tree structure are some of its major features. So, stay at top of your tasks with one of these great to-do list apps and never fall behind.